Microwave heating is a multiphysics phenomenon that involves electromagnetic waves and heat transfer. In a layman’s language, the material to be heated is exposed to electromagnetic waves, this passage charges up every single molecule of the material resulting in rise of temperature of the same material. This exerts pressure, which pushes the moisture in the material towards the surface which is then evaporated. Microwave heating is a commercially available method of heating liquids, suspensions, or solids in a continuous flow on an industrial scale. The pattern of microwave heat distribution depends on many physical parameters, which includes the electromagnetic field, the absorption rate and structure of the processed material, and also the dimensions of the heating container. It is also used for household purposes but on a lower scale. Manufacturers wanting to produce new products, build new plants, or automate should consider microwave heating for their specialized heating applications. Microwave heating is a quick and efficient method of heating materials that are difficult to heat by convection or infrared methods, so there is a hike in production rates and improvement in product quality. The key parameter in Industrial Microwave Heating is uniform heat distribution. This can be achieved by different methods, which may involve computer simulation and different mechanical mechanisms such as turntables & stirrers. A proper microwave energy pattern is necessary for attaining a uniform heat release. New applications are emerging rapidly and gaining popularity as manufacturers discover the unique benefits of microwave heating. 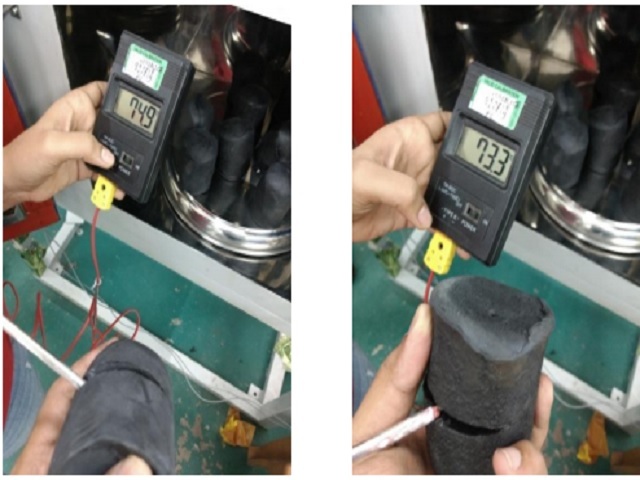 In this blog, you will understand the applications of microwave heating in the Rubber Industry. Microwave heating saves energy during batch preheating of rubber before setting into different product moulds. 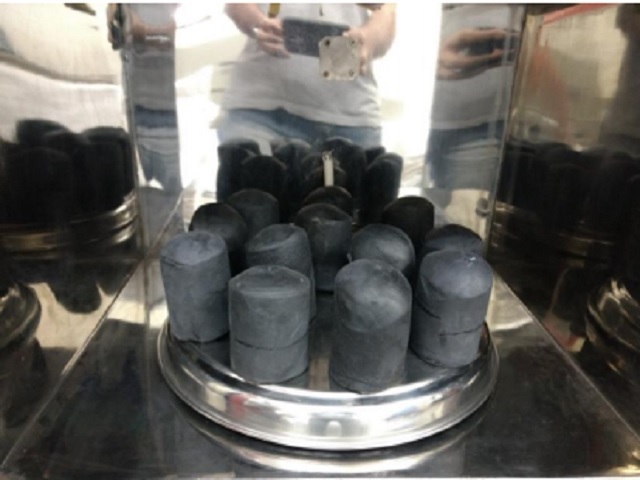 It has converted rubber vulcanization, which is required for strength and resiliency, from a batch process to a continuous one. 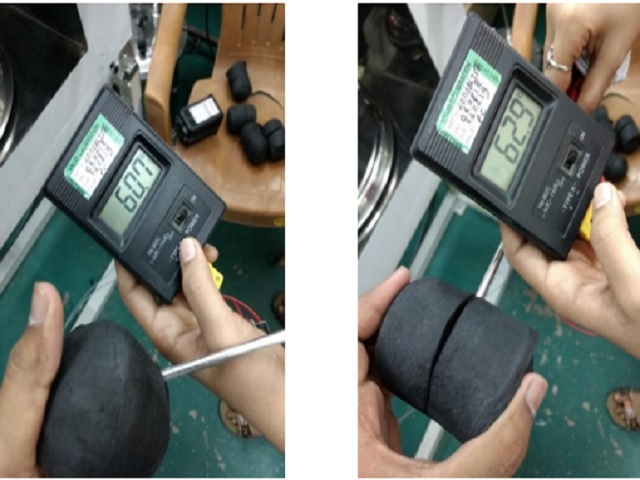 As rubber is one of the materials that conducts heat poorly, conventional heating systems lags the process but microwave energy rapidly heats the rubber within its bulk, up to five times faster than hot air heating. Rubber is continuously extruded, microwave heated and vulcanized, and formed into products such as gaskets, tyres etc. KERONE Engineering Solutions Ltd. is a pioneer in application and implementing engineering solutions with its vast experience and team of professionals. Since last 42 years, it has been into designing, manufacturing & installing of Industrial machinery for various processing needs. The engineers & professionals at KERONE have in depth knowledge of different heating technologies and provide solutions applying them in a huge no. of Industrial machines. Accuracy, efficiency, machine quality and output quality are not just words but our commitment towards our profession since last 42 years, creating a base of more than 1000 loyal customers. Our microwave heating systems are used to meet the varying demands of numerous industrial applications – all with a level of precision that manufacturers seek. We also provide detailed assistance for installation without much hassle of complex functioning of the machinery. We always strive to achieve more than client satisfaction with our timely delivery, quality and efficiency towards every oven manufactured by us. This entry was posted in Kerone and tagged MW Rubber Preheating Systems by admin. Bookmark the permalink.